I have wanted to write on this theme for quite some time, but it seems that my dream life had a lot of work to do in learning the virtue of being detached from the things that leaders and others do out of their own self interest. I would love to live my life free of blaming others, but I have to admit that some actions leaders do are so horrid and solely for their own ego that it is difficult to practice detachment. They have a way of drawing you in to their own worst actions. Every time I thought I was letting things go another action would happen to draw me into their web. I think that I have let go of a fair amount so now I want to turn my attention to a really great energy, audacity. Audacity is the virtue of seeing a really compelling positive, worthwhile outcome and going after it without any hesitation whatsoever. You can be audacious for outcomes that are not very worthwhile, but when this happens it is not a virtue but a characteristic of the ego. If you practice this latter quality, you end up in increasing fear. Conquerors fall into this category. They can boldly attack another land, but sooner or later they themselves start getting taken over and then end up in increasing fear. In the modern world it is what corporations do. When you go after something worthwhile like equality or equity, then the victories you achieve allow for even greater amounts of audacity. The key ego battle when you are trying to learn how to be bolder is that instead of seeing a positive outcome in your mind, you see a bunch of negatives often in the form of how other people are acting or expecting you to act. Last night I dreamt that when I was a running, a few people came along and encouraged me to go even faster so I did. When I woke up, I realized that I had to do some work with getting the images of people acting toward me in a negative way out of my head so that I could conform my actions to the dream. It is the negative images and words and beliefs that hold us back from acting more boldly. Last year my daughters both made the very bold move of doing homeschooling with their children. Usually when we are inspired to do the right thing, we have negative images in our head about who or what is going to give us the most resistance. If we can just get to the ability of ignoring the resistance, then we can act positively and achieve great things. When I was a young man studying at the United States Air Force Academy, I found that during my third year I had become completely stagnant with my academic work. I barely made it above academic probation. While I was traveling in Mexico during my spring break, I was inspired to leave the Air Force Academy. It was like the clouds parted so that the way was clear, but in my mind were still all of these people who I thought that I had disappointed by deciding to leave. When I thought of them, I hesitated. The spiritual work is to just be able to ignore the disappointed ones or whatever other resistance we might have. When I could focus on doing something worthwhile for humanity rather than fighting in wars, my studies improved dramatically. I wasn’t motivated in the Air Force because I didn’t want to support war. When I returned to studying in an area where I could be helpful to others, people started seeing me as gifted, whereas at the Air Force Academy they kept telling me how worthless I was. It was a matter of motivation. When you have audacity, your inspiration and guidance to action come from within with complete disregard for the outside. You have inner vision and you have an inner voice. Most often you hear people talking about the vision, but the positive voice you hear in your head to compel you forward is equally important to tune into. Whenever I have a difficult meeting where there are a lot of people with large egos, my inner voice is extremely active. Sometimes it says to be quiet and say nothing and at other times it says to let them have it. I have absolutely no idea how or why it works, but every time I listen to it, the long-term effect is positive. I think that most people want to do some worthwhile things in their lives, but they end up listening to and seeing what others want for them. Then they giving into what others want rather than responding to their own vision. I saw this clearly when I returned to the Air Force Academy the year after I left for my friends’ graduation. There wasn’t a lot of jubilation and celebration. There was the realization that they had given into what someone else wanted them to do. A couple of years earlier I had seen one person so upset after his graduation that he was tossing things all around and crying out loud. He had given into something he had never wanted and now he was paying the price. Being audacious does not mean you do not suffer pain. Being audacious only means that you respond internally rather than externally. Just because something is the right thing to do and is timely and compelling does not mean you won’t suffer for your actions when you are going for positive ends. When you stand up for what you believe in and say it, it sometimes puts you in prison and gets you fired, but mostly it attracts like-minded souls and helps to change people’s lives in positive ways. The key is ignoring everyone and everything else but the positive end and the inner guidance on how to get there. Ignoring is not an easy thing because it often means not listening to key figures like your parents or religious leaders or teachers. At some point everyone is tested. Everyone!! God makes you have to ignore someone. You cannot be pleasing to someone else’s vision of your life and be audacious. If you are lucky, you have understanding parents. You seek their opinion because they raised you and deserve your respect, but in the end your life is between you and your Creator. Most people do the wrong thing. They give into someone else’s vision and then end up in lives they didn’t choose. Then they practice false audacity like with having an affair or gambling in business. This is because most people are fearful of being excluded when they practice audacity. You can be fearful of being cut out of your family, your peer group, your religious community, your profession, or even your country. The audacious practice is to listen inside and respond to the inspiration. When you wake up in the middle of your life and find that you have lived out of everyone else’s expectations but your own inner drives, it is not necessarily the time to throw the current outer life away and start over. If you don’t like your job because it is not fulfilling, but you are supporting your family responsibly, that is a good thing. Being audacious may be something like creating unity with your colleagues. When you have a vision, the key to being bold is to ignore the resistance and all the reasons for not doing it. Then act fully. Another inspiring and positive blog! Have you come across the book “Zero Limits” … in that book I found a lot of words of wisdom that reminded me of some important ideas that you promote. It’s about an ancient Hawaain “healing” or cleansing/purifying method which involves four simple statments of “I love you. Please forgive me. I’m sorry. and Thank you” – the idea is that we are 100% responsible for all that we are aware of which is perceived as a “problem” or “challenge”…and that by saying these statements to ourselves, or in our heads about others, or to the Divine Creator, we can be released from old patterns which are keeping us limited (like living in the home of someone who has died) and set us free to be able to live by positivity and inspiration. 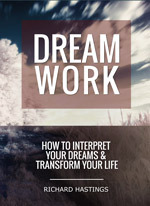 I found it most helpful to use when dreams were showing me things i needed to “clean” but nothing else I was doing in my conscious life would take the “nightmares” away. This book was extremely enlightening for me and I wanted to share it with you and with all your readers. 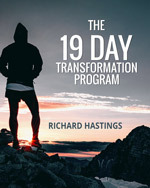 Richard, I can look back on the past 2 years of my life and gives thanks to your persistent adherance to positive thinking as being a tranformative force for good in my life. What I mean is, your constant reminder to change the negative to positive, to warm the cold, to increase the positives and decrease the negatives was such a happy blessing for me. Very timely! Exactly what I needed to read right this minute! Thank you so much for your blogs and photos!